We have covered the new app, Hitpad, in the past. 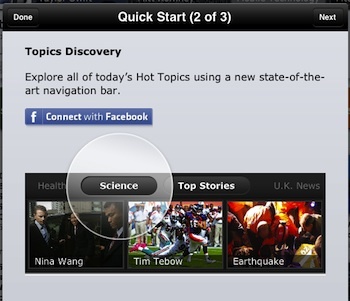 Most likely making several references to it in other iPad news feed app reviews as well. 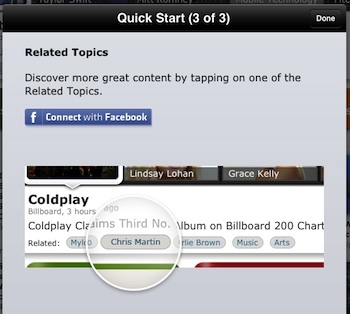 The power of Hitpad is it’s ability to pull top news from any sources and present it in a way it is easy to access. 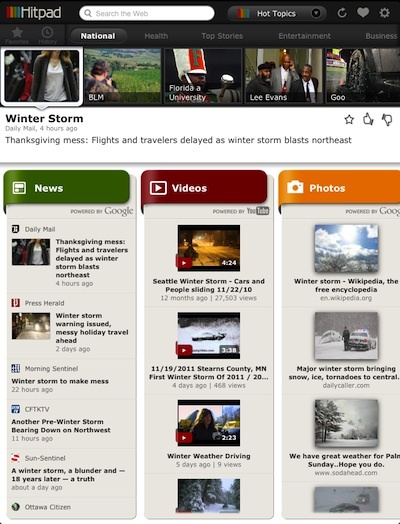 Everything is in categories, divided up by the articles on the subject, video and related content. The Hitpad update takes the simple interface and adds some maturity to it. There are more areas of interest and those area’s top stories have images in the upper scrollable area instead of being all text. It is a fine line between adding more content, thus more things on the screen… and visual representations so the increased information is still quick to look through. It’s a tough thing to do, you will either love it or accept it… we really doubt anyone will dislike it though. What some folks may not be so excited about, which can be seen by the new reviews is the heavy inclusion of Facebook in the update. 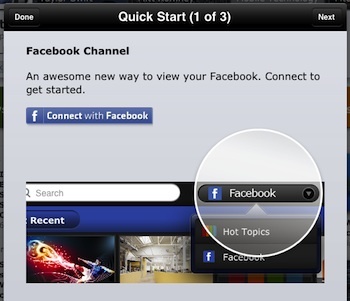 The ‘nice’ side is that you can have your Facebook wall and pages appear within Hitpad. The side that people are not excited about is that some features now ‘require’ you allow Hitpad access to your Facebook information. People are split these days between liking everything being tied through Facebook to have a wider view and those that don’t want everything they do to be given to the Facebook system to track. Your call..